Mark has 37 years of professional experience in multimodal freight transportation planning and truck policy. Mark began his career with Minnesota state government, including 15 years at the Minnesota Department of Transportation (MnDOT). While at MnDOT, he was a Motor Carrier Program Supervisor and later the Section Director of the new Freight Planning Section. As Freight Section Director, Mark was instrumental in forming the Minnesota Freight Advisory Committee. 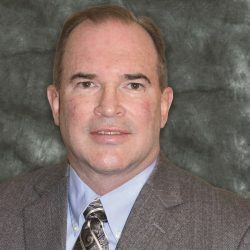 He has authored several important freight planning references and is a senior instructor National Highway Institute (NHI) for several freight related courses. Since 2001, Mark has worked as a freight planning consultant helping public and private sector clients across the U.S. He has managed statewide, regional, urban, and corridor freight plans in Minnesota, and around the Midwest and nation. In 2013, Mr. Berndt received the William K. Smith Distinguished Service Award given by the University of Minnesota Center for Transportation Studies, in recognition of outstanding leadership and contributions in private sector freight transportation. 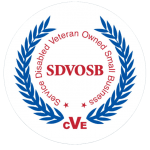 Quetica is a Service-Disabled, Veteran-Owned Small Business (SDVOSB) led by industry experts with deep expertise in Transportation and Supply Chain Management, Information Technology, Global Trade and Payments, and Engineering. Quetica helps government agencies, commercial clients and financial institutions globally to efficiently and effectively accelerate business growth, achieve sustainable cost reduction and accomplish better service levels through delivery of hands-on practical expertise and world class solutions.